There are many types of pancreatic neoplasms. Pathologic examination, which includes both routine (e.g., hematoxylin-and-eosin staining) and ancillary (e.g., immunohistochemistry and in situ hybridization) techniques, is essential in correctly typing a pancreatic neoplasm. 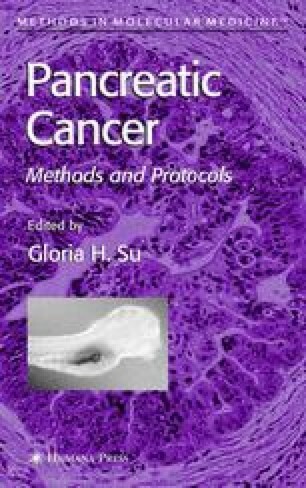 This chapter focuses on the use of immunohistochemistry and in situ hybridization in the differentiation of pancreatic neoplasms. The materials and methods of these two techniques are described in detail.